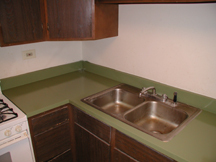 As you can see, resurfacing can make remarkable changes to the look of your home. Make it look new by calling Ace Resurfacing for your free estimate. If you want to upgrade the look or color, make repairs, resurfacing is a viable cost effective option. 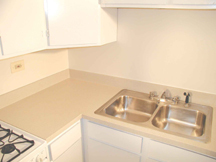 We can apply a new surface at a fraction of the cost of replacement. Our award winning product has been applied to over 30 million applications since 1978. It was developed specifically for the resurfacing industry so will hold up to your application and is superior in performance to enamels, polyurethanes and epoxies. It is the best professional coating available. It is approved for use on food surfaces and is the hardest, most chemically resistant resurfacing product available. 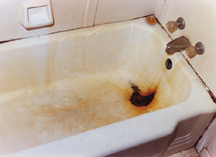 It is approved for use at most major hotels, institutions, and military bases. Do you want to upgrade your bathroom or need to make repairs? We can apply an award winning, professioan coating to any hard surface in your bathroom at a fraction of the cost of replacement. 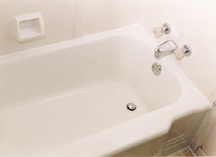 If your tub is chipped, broken, rusted out, we can make it look new. If you want to remodel because the color is out-dated we can change the color. Resurfacing is a viable cost effective option to replacement. Our product was developed specifically for this application and is superior in performance and value to enamels, polyurethanes, and epoxys.